Learning to minister the power of the Kingdom of God in both words and deeds! “Did you receive the Holy Spirit when you believed?” (Acts 19:2). The accounts of Jesus’ ministry show that His normal practice was to speak about the Kingdom of God and then to manifest the presence of that Kingdom by doing works that demonstrated it’s presence amongst the people right then at that very moment. The works verified the words, and the words explained the works. They were a unity, flip sides of one coin. St. Paul, after his disappointing attempts at evangelism in Athens, took up the Master’s pattern of words and works. 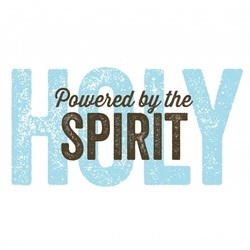 In 1 Cor 2:5 he says he even down played the words in order that the demonstration of the Spirit’s power would be more obvious, "so that your faith might not rest on men’s wisdom, but on God’s power." This is scary stuff for most of us. We shrink from attempting to do His works–at least the supernatural ones–for a variety of reasons. We haven’t seen a model at work with which we can identify. We need a style that looks more "normal" than the modern televangelist. We haven’t been exposed to a theology that includes healing, miracles, signs & wonders in the modern age, and so we have no "grid" to process anything through. Finally, we simply haven’t been taught how to minister to those in need. This is a highly experiential workshop designed to introduce you to the person, work, and power of the Holy Spirit. We offer a series of sessions which will heighten your awareness of the ministry of the Holy Spirit in your personal life (and in the life of the local church) as well as identify and break down Western rationalistic barriers that hinder our openness to the Holy Spirit's leadership, guidance, and direction of our lives into the fullness that God offers to us. We will look at kingdom encounters in the book of Acts, explore the gifts and fruit of the Spirit, and hear personal testimonies regarding the work of the Holy Spirit. Each teaching is followed by a clinic–a hands on opportunity to see ministry modeled, to try it oneself and to be available for the Spirit to give an impartation for ongoing ministry. The day will close with an opportunity for you to receive personal ministry from team members to actualize more fully "the promise of the Father" and help you begin walking daily in the power of the Holy Spirit. The words and works are meant to be the norm, not the exception, to the activities of the people of God. We must get over our discomforts and invite and allow God’s presence to be a tangible reality in our churches. The Church is meant to be an army, not an audience–participants not observers. As the Body of Christ, it is vital that we learn to minister and then begin to operate in ministry.